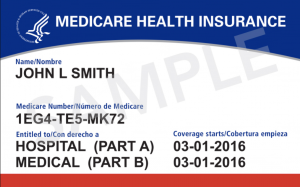 If you’ve seen new reason code N793 on your Medicare remittance advice lately and wonder what it is, you now know it relates to the new Medicare card. Alert: CMS is changing from the Medicare Health Insurance Claim Number (HICN aka “hickin”) to the new Medicare Beneficiary Identifier (MBI). You can use either the HICN or MBI during this transition period. CMS Page on the New Card here. FAQs updated April 4th here. Signs and widgets for your office and website here. Electronic Remittance Advice Example here. Transition Period ends December 31, 2019.